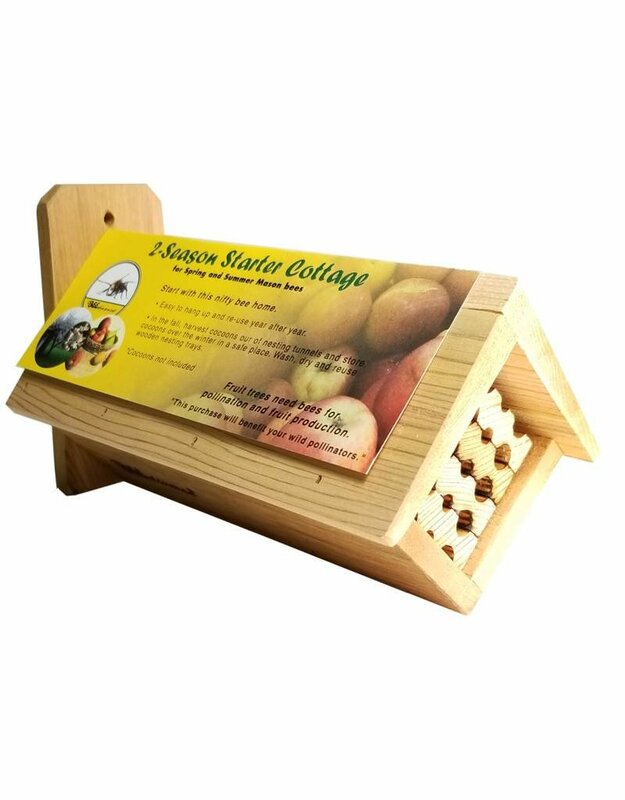 Materials: solid cedar and long lasting wooden nesting trays. 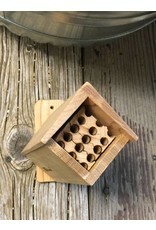 Nesting trays can be re-used year after year. 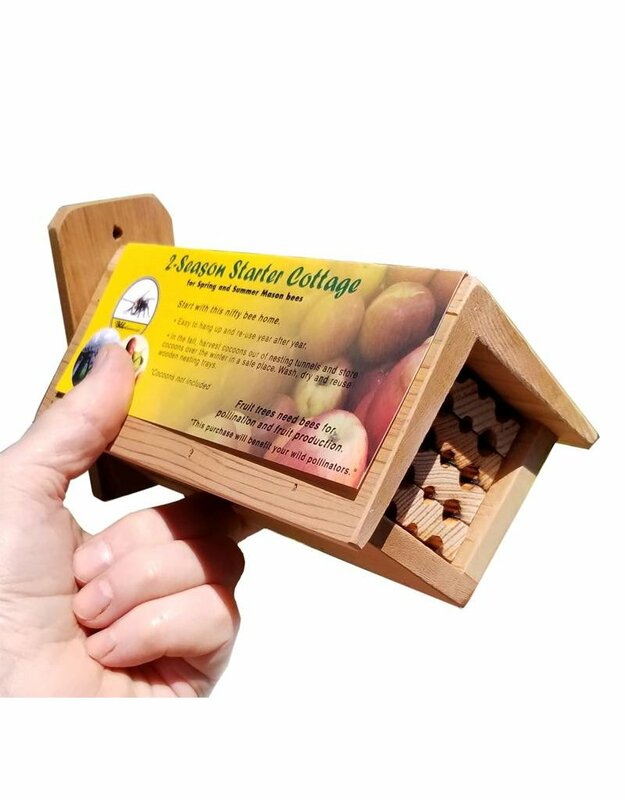 Great for new Mason Bee keepers. As gift that keeps on giving! 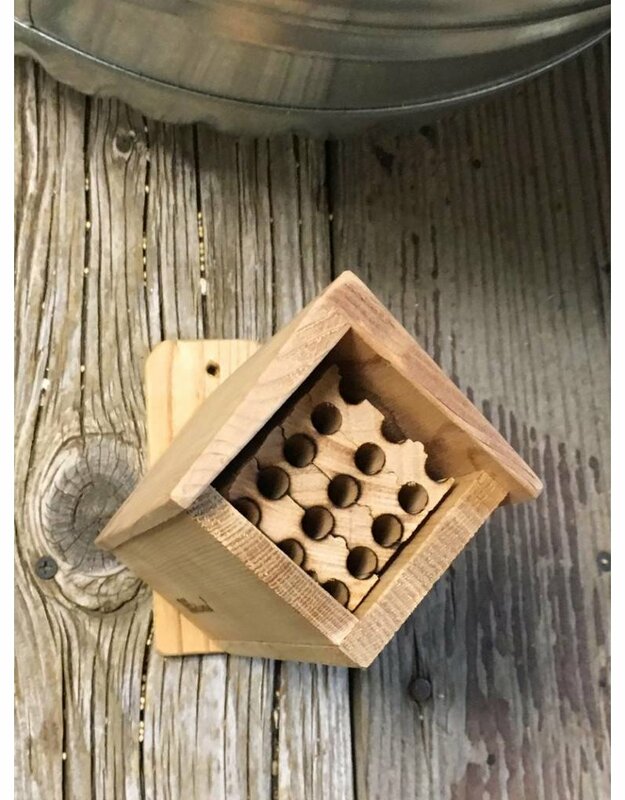 Ready for easy viewing of bees at work. 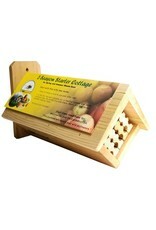 Includes:Wooden cottage, wooden nesting trays. 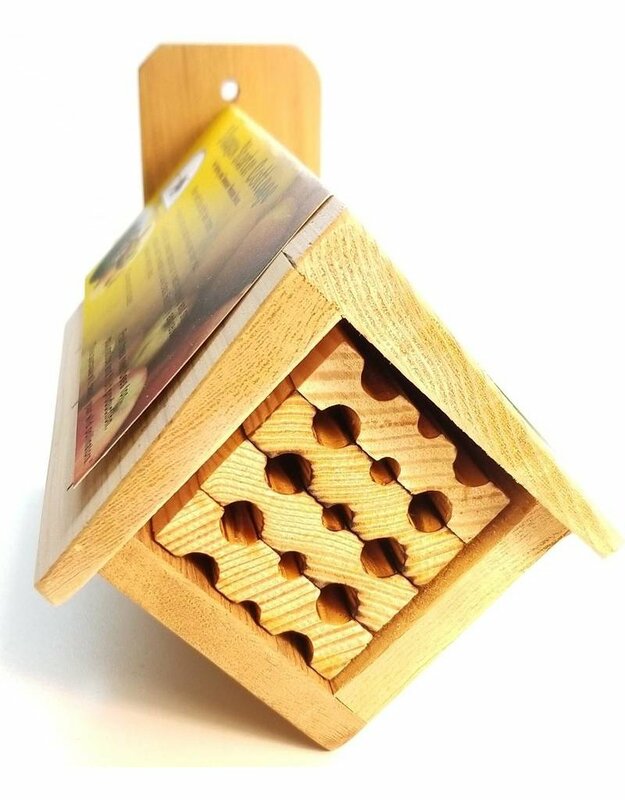 With the mounting plate on the back it is easy to hang this beauty. 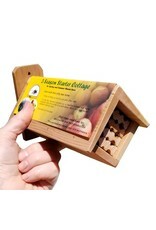 Attach it to a wall of a shed or building, then watch these busy native pollinators at work in your yard or garden. 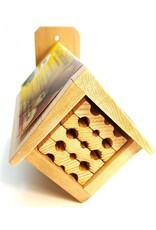 A little roof overhang on the cottage protects the bees from rain, wind and hot sun.